The info card this month is a reminder that the holidays are upon us; if you are an active subscriber, GoodBeing gives you a 20% off discount on gift subscriptions. On the back of this card are a ton of discount codes for subscribers on brands sampled in this month’s box. Never have I ever been more pleasantly surprised by a natural deodorant. Its eucalyptus & mint fragrance stayed with me for just a few hours, but I was left with fresh smelling pits all day! Mind you, I did not give this product the gym test, which, I don’t expect any natural deodorant to hold up after, but it is good to know that I can spend a normal day at work without having to reapply my deodorant. This DO is also free of petrochemicals, parabens, synthetic fragrance, glycols, silicones, and PEGs, which also gives me peace of mind. I am a sucker for anything with milk & honey in its name, so I had to choose this item as one of my December picks. I was not disappointed by my choice; this bath soak was very soothing for my skin, and I loved its soft, comforting milky scent. Magnesium that is applied topically is used to relieve aching muscles and promote relaxation; this body butter is supposed to do just that plus provide deep moisturization, but I just can’t get over the scent. I chose the chocolate fragrance because, well, I love chocolate, but this is a bittersweet version that is tolerable at first, but after a few minutes on my hands, I had to wash it off. When you apply this butter, it feels cold and almost tingly, but after you rub it in it takes on a powdery finish, which I am also not a fan of; that being said, I found the perfect use for this: foot cream! It feels GREAT (especially after a long day on your feet), and the texture is perfect to wear under socks. Although this body butter didn’t work as I planned, I found an even better use for it. This was almost one of my choices this month, so I was so excited to see it in my box! After wearing this product under the eyes and on blemishes/scars on my face for two days, I can say that it is a great concealer! I warmed up the concealer (which feels a bit rough on the surface) with my fingertip, and I patted it on and continued to pat it until it blended, which it did seamlessly. Compared to the Nars Creamy Concealer (a dear favorite of mine), I would say this is a bit thicker, but I feel this one lasted longer and didn’t rub off as easily (I set both of them with a finishing powder). What a cute, unexpected treat – and purple, my favorite color. Anything that promotes good luck, fortune or wishes coming true, you know I am wearing that! Plus, I love bees, and I wish to save them all (even the mean ones!). This bracelet measures about 8 inches long, and the string is threaded through the bee bead, which I prefer to having something dangling off my wrist. Verdict: Another amazing GoodBeing box! Once again, they nailed it and sent me items that I had contemplated choosing for this month. Each item will definitely be used up, and so far, I am crazy about my new concealer and deodorant. If anyone is looking for a natural beauty/skincare box, I would definitely recommend GoodBeing. 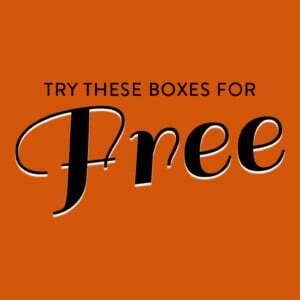 Not only can you choose 2 out of 5 products sent to you, but they sample products from exceptional brands. What do you think of the December GoodBeing Box? I don’t get this box, I used to….But I may order the body cream from the meetjivi website as my first thought is that it would be great on my feet at night, put socks on…and I saw you agree. I have magnesium spray for body but it kinda itches my feet so this might work better, on the feet it helps sleep also. I love goodbeing! They sent me the chocolate body butter and it literally smells like a chocolate bar 🍫. I haven’t tried it yet, but magnesium is supposedly good for your skin so hope I enjoy the texture. I like Jivi products but was disappointed in the body butter. It pilled up on my skin no matter how little or how much I used, whether I applied it directly after bathing or later. Just would not absorb. As an aside, the other fragrance choice in the body butter is fairly light and dissipates quickly. Ooo what was your favorite item? I am loving the concealer.